Coming from Canada and being myself a military brat, I was still surprised how generous many American businesses are when it comes to giving discounts and free stuff to military service members and their dependents. Below, I have listed what I believe are great/good discounts. 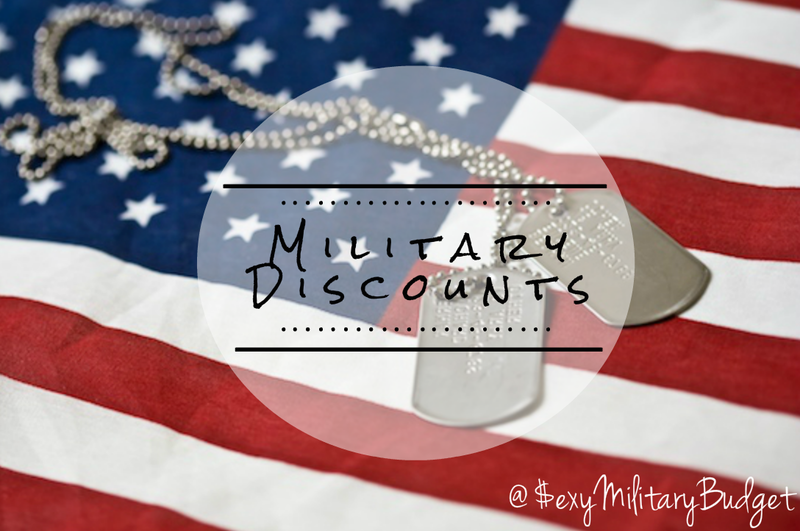 If you want a complete list of military savings, please visit Military Benefits or Military.com. *** In order to qualify for these freebies & discounts, you need to show proof of military/active duty/veteran/dependent status.